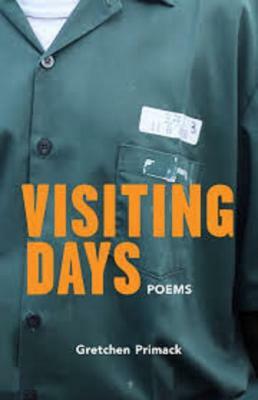 Collection of persona poems set in a maximum-security men's prison by Gretchen Primack. "Enter Gretchen Primack, a poet, writer and advocate who dismisses the stereotype and is able to see the humanity in the people that touched her life on the inside. The conversation often arises within advocacy debate as to who has the license to contribute to this conversation, especially through art and creative expression. Visiting Days is a prime example of how to get it right. This is a brave and necessary collection of poems that contribute to the overall debate around the criminal justice system, and more specifically the prison industrial complex, with all its complexities. In the age of cultural correctness, sometimes to a fault (a box will always be a box no matter how it is reshaped for the sake of a feelgood), we want to challenge those who step outside of their comfort zone to totally immerse themselves in that which they write about. Gretchen has done this with great care and detail. She is a poet who takes the task of poeting seriously: art for the sake of art. Even before you read the following pages, know that people from the inside have laid eyes on this manuscript, and each one was awed that someone not of their world took the time to understand their plight in a way that rendered them human." --from the Introduction by Randall Horton, Ph.D.
She's the author of three poetry collections, Visiting Days (Willow Books), Kind (Post Traumatic Press), and Doris' Red Spaces (Mayapple Press), and a chapbook, The Slow Creaking of Planets (Finishing Line 2007). She co-wrote The Lucky Ones: My Passionate Fight for Farm Animals with Woodstock Farm Animal Sanctuary co-founder Jenny Brown (Penguin Avery 2012).